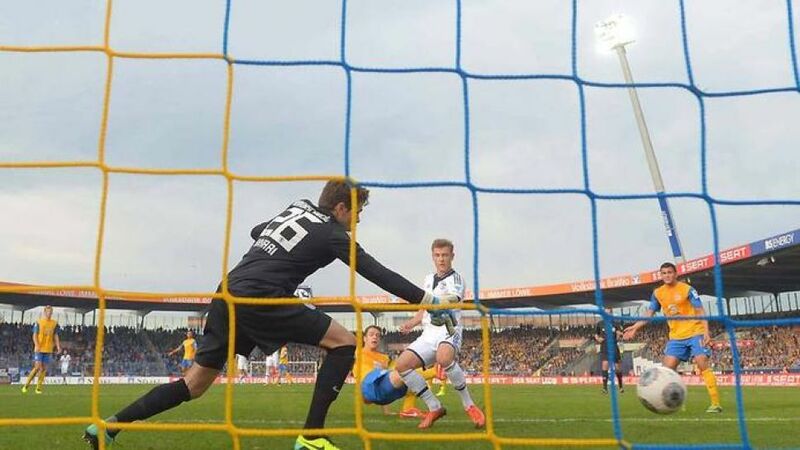 Munich - FC Schalke turned the tables on Eintracht Braunschweig, 1. FC Nürnberg rescued a point at Eintracht Frankfurt and the goal glut ground to a halt in Bremen on a memorable afternoon in the Bundesliga. A last-gasp Roman Neustädter strike helped FC Schalke 04 to a dramatic 3-2 win at Eintracht Braunschweig. Josip Drmic struck four minutes from time as 1. FC Nürnberg came from behind to secure a 1-1 draw at Eintracht Frankfurt. Frankfurt went into the game quietly confident of getting the job done, having chalked up more wins over Nürnberg than any other side in the Bundesliga. The Eagles duly locked down possession for much of the first half, albeit without testing Raphael Schäfer between the Nürnberg posts. That soon changed within five minutes of the restart, though, as Alexander Meier sent Vaclav Kadlec through on goal. Eintracht’s leading scorer gobbled up the opening, planting his effort beyond the keeper’s reach for his fourth goal of the campaign. Niklas Stark rattled the crossbar as the visitors looked for an unlikely route back into the game, and their persistence was rewarded when substitutes Robert Mak and Drmic combined to secure 16th-place Nurnberg only their third away point this term. Werder Bremen and SC Freiburg were forced to settle for a point in the Bundesliga's first goalless draw of the 2013/14 campaign. Still chasing their first Bundesliga win this season, Freiburg flew out of the blocks, with Admir Mehmedi trying his luck inside 120 seconds. Christian Streich’s men continued in much the same vein as the half progressed, but in truth Grün-Weißen goalkeeper Sebastian Mielitz had little to do. Bremen almost broke the deadlock in the 58th minute when Sebastian Freis inadvertently directed a Zlatko Junuzovic corner against his own post, with the woodwork later coming to the rescue of Bremen to deny Matthias Ginter from close range. Nils Petersen could have won it late on, but Freiburg custodian Oliver Baumann did his job to ensure his first clean sheet of the season as well as the German top flight's first 0-0 draw since 28 April 2013.